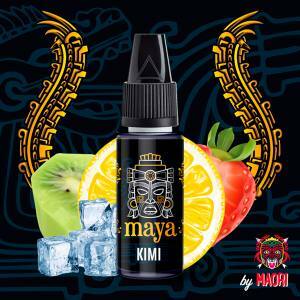 The Maya Concentrate is a creation by Full Moon, Malaysian manufacturers which are very well known with lovers of fruity flavours. With the Maya Concentrate, you will appreciate original and high quality recipes, with a mixture is freshness and exotic flavours to perfection. The Maya Cocktail is a real tropical flavours which will allows you to travel across the Amazon. Prepare yourself to be launched into an very fruity adventure with the Maya Concentrate by Full Moon. An original and fruity recipe with Sour sop fruit, Ginger and Papaya! Do you like Maori? So, discover the concentrate Maya Aroma proposed by Full Moon. Make the most of a new recipe which is also refreshing than fruity, coming straight from Malaysia! 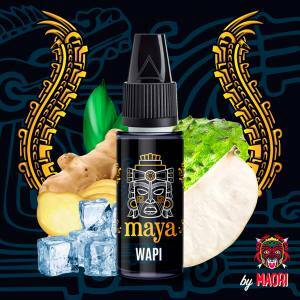 You will also discover the Maya Concentrate Maya Wapi and flavours of Soursop, Ginger and Papaya, the Anoki Concentrate with a mixture of Lemon, Apple and Cactus or even the Maya Kimi, associated with Kiwi, Strawberry and Lemon. Available in a 10ml bottle, the Maya Concentrate should be mixed with a PG/VG Base with one or ore nicotine boosters if needed and depending on your preferences.